Here is a view of Yosemite that always comes to mind when I think of the park. 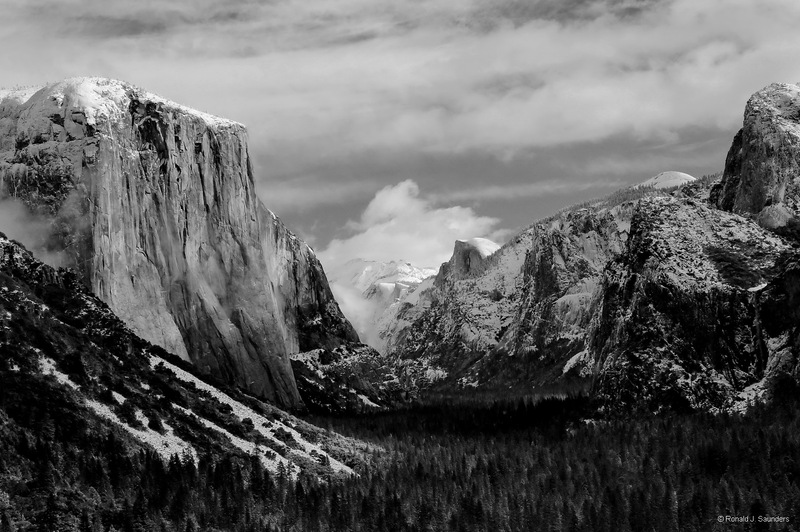 It is a classical scene from Tunnel View of Yosemite in black and white. There is a light dusting of snow that coats the valley and peaks and adds the contrast that makes this image so interesting. Photo © copyright by Ronald J. Saunders.